I have been seeing rocket stoves pop up on YouTube for quite a while now and the seem to work really well. The whole idea of a rocket-stove is to have a small portable stove that uses very little fuel, burns clean, and generates lots of heat. and a short piece of 1-1/4" sq tubing about 5 inches long with a 45% end. I also used some 1/2" nuts and bolts in case I wanted to level it or use it on a picnic table top and not scorch it. I think of this machine as primarily a mig welder. but it can also stick weld and do lift arc TIG. For this rocket stove build, I needed to use a few 309L-16 stick rods in order to weld the stainless to the carbon steel. I have seen quite a bit of stainless welded to carbon just using plain carbon wire like er70s-6 but my sensibilities just wouldn't let me do that for this video. For the application, it probably would have held up for many years even if it were welded with er70 wire but I also wanted to demonstrate how easy it is to switch over to stick from mig with a multi process welder. 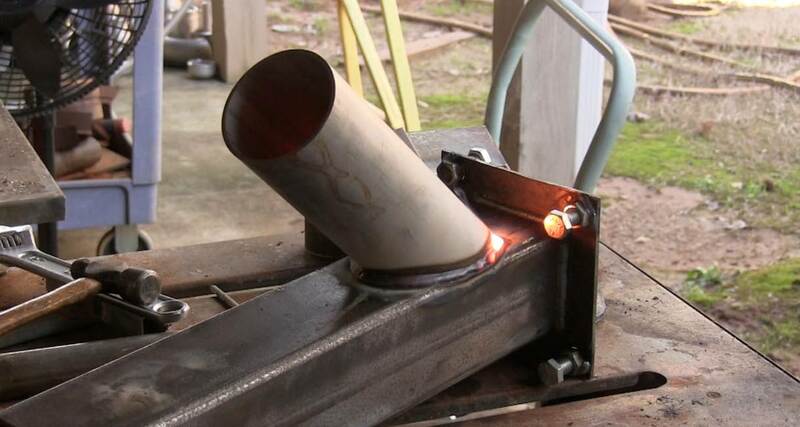 There were a few other areas on this simple rocketstove project that would have been easier to weld with a stick electrode. Since a stick electrode can reach into areas where a mig nozzle cant, stick is often a better choice. Having a welder that does both gives you more options. 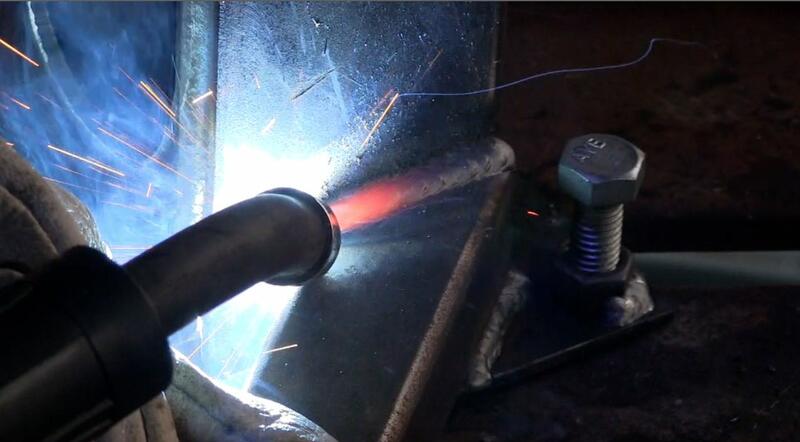 309 stainless rod was designed to weld carbon steel to stainless. 309 rod contains more chromium and more nickel than 308 stainless filler does. The reason is to provide a more favorable chemical composition once carbon steel is mixed in with the weld metal. This is very important for high pressure pipe and other critical welds but probably not really necessary for a rocket stove welding project. Every welder needs to keep a few sticks of 309 stainless rod for those situations where you need to weld steel and you are NOT quite sure what grade of steel it is. 309 stainless is a very good rod for dissimilar steels. 304 to carbon steel, 4140 to stainless, chrome vanadium steel to carbon steel, even some cast iron jobs can be welded using 309 provided preheat is also used.